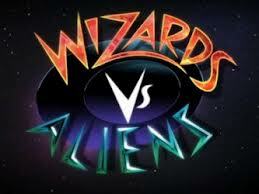 Brian is currently shooting on the new series of CBBC’s hit show ‘Wizards Vs Aliens’. The show, now in it’s second series, was created by Dr Who guru Russell T Davies and follows the adventures of Tom Clarke and his best friend Benny as they defend the Earth from magic eating-aliens The Nekcross. Brian is playing a recurring character in the series. For more on this show click HERE.